In "Where's Your Pencil?" Tharp reminds you to observe the world -- and get it down on paper. In "Coins and Chaos," she gives you an easy way to restore order and peace. In "Do a Verb," she turns your mind and body into coworkers. In "Build a Bridge to the Next Day," she shows you how to clean the clutter from your mind overnight. "[An] exuberant, philosophically ambitious self-help book for the creatively challenged." "An entertaining 'how to' guide, The Creative Habit isn't about getting the lightning bolt of inspiration, but rather the artistic necessity of old-fashioned virtues such as discipline, preparation and routine." "The Creative Habit emphasizes the work habits that lead to success." 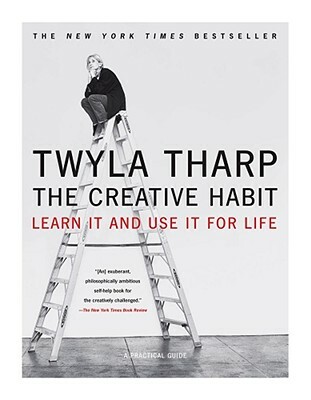 "Twyla Tharp's amazingly plain-spoken treatise...is a frank, honest, and tough-love testament essentially arguing that art and creativity are matters of hard, old-fashioned work." "[A]s accessible, smart and eye-opening as her dance." "Though its context is a choreographer's world, its principles are universally applicable and sound....It could change your life."